Pokwang, 46, presently lives in a two-story house. 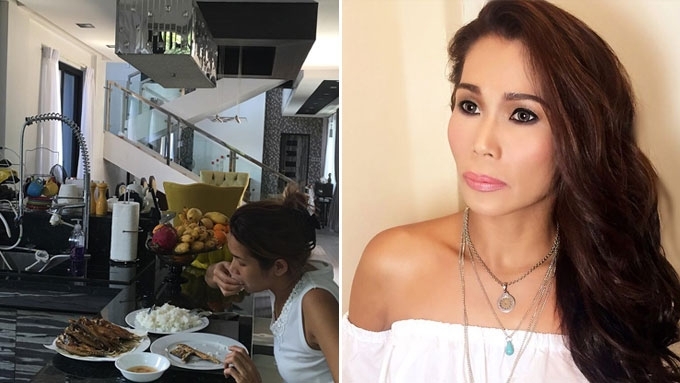 Pokwang, in her younger years, didn't have even the simple luxuries in life. Born as the ninth out of 12 children, she did every thing she could to help her family make ends meet. Given the family's state of poverty, she tried her luck overseas. The then-17-year-old Marietta Subong flew to Japan where she worked as a choreographer, and later moved to Abu Dhabi. She decided to return to the country following the death of her son Shin. In 2004, Pokwang joined "Clown in a Million," a reality talent show segment of ABS-CBN's Yes Yes Show, and became the grand champion. 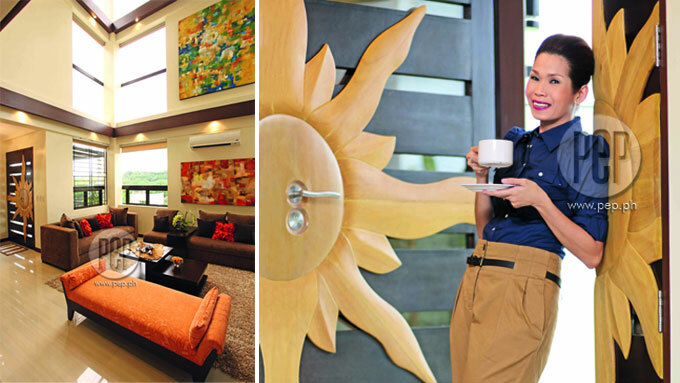 The 46-year-old Kapamilya actress now has several investments, including a four-story-house in Antipolo City. She bought this property in 2010, and moved in a year later. In December 2016, she transferred to a smaller house so she could watch her ailing mother Gloria closely. In a previous interview, she said, 'Two-story lang itong lilipatan namin. Gusto ko, katabi ng room ko ang room ni mama." Her mother has Alzheimer's disease. She added, "Sa dating bahay kasi, nasa third floor ako 'tapos si mama, sa baba. "Ang daming stories nga di ba na nakakaalis na si mama ng room niya. Malalaman na lang namin, nasa guard house na. "Itong bagong bahay, mas tight ang security, lola-friendly, and hindi kataasan." Here's a peek into the beautiful landscape of her new house. She has a koi pond. A portion of her dining area/ kitchen. A quick tour of the ground floor. She has lap pool, which also doubles as her workout area. The master's bedroom is similar to her room in the bigger house. Its walls, ceilings, and furniture pieces are in orange, brown, and green—her "masuwerteng" colors. She also has an upholstered Pewter Wingback headboard.